Can You Save Money on Chicken Feed? Lisa Lynn September 16, 2013 April 15, 2018 32 Comments on Can You Save Money on Chicken Feed? 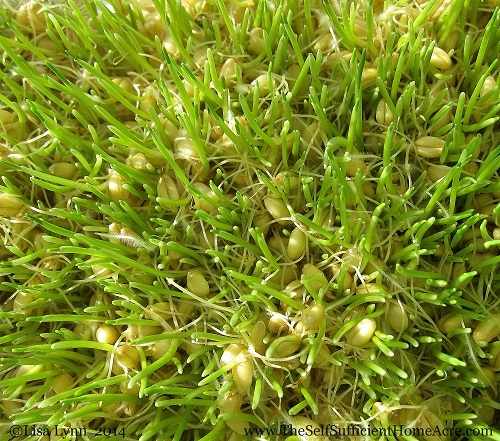 Sprouting wheat grass for my chickens. Can I Raise My Own Chicken Feed? This is a question I’ve asked myself frequently since I started keeping chickens. I really didn’t like buying the conventionally grown feed, knowing that it was likely filled with GMO grain raised with pesticides. When I decided to switch to organic chicken feed recently, I knew that the cost of feeding my chickens was going to increase dramatically. So I once again started wondering if I could grow more, if not all of my own feed for them to reduce the chicken budget. It’s too late for this year, as far as growing grain, and I really don’t have the space necessary to raise enough. I did grow some sunflowers and corn for them, but it will only amount to a few treats. For now I am getting ready to mix my own feed from whole grains purchased through a buying club, along with sunflower feed from the hardware store. Until I have more space to grow my own chicken feed, this will have to do. I’ve only been feeding my chickens organic feed for about 9 days, so I can’t come to a solid conclusion on how well I like it. I do think that the egg shells are harder than they were with the conventional feed. But I’ve also noticed that the egg yolks are lighter in color. I suspect that this is due to our drought and lack of tasty, tender grass in the pasture, not the change in feed. One thing that I am not crazy about is that the new feed has a great deal of fine, powdery feed in the mix. My chickens don’t want to eat this powder. Instead, they pick out the whole grains and look imploringly at me for more scratch grains. I’m mixing the fine feed with water and molasses or the juice leftover from cooking veggies or pasta. They eat it, but only because I won’t give them any more food until it’s gone. They seem to be going through their feed at about 60 pounds per week. At that rate, they’ll have to eat the powder or go hungry. The cost of Nature’s Grown Organic Chicken Feed at our local feed store is 40# for $21.65. The price at the box store is $13.49 plus 7.5% tax for 50# of the conventional feed. I used to think the conventional stuff was pricey! When I first brought home laying hens in 2010, the cost for layer feed was around $8.99 + tax for 50#. Yowza! What Do Chickens Need to Eat? Chickens need protein, carbohydrates, fat, vitamins, and minerals to thrive and produce eggs and meat for your table. In the wild they would survive on whatever bugs, small rodents and reptiles, fruits, and seeds they could find. But they would also be laying fewer eggs and would likely be rather scrawny. So letting your chickens run wild to find all of their nutrition will not give you very good yields and, most likely, predators would eat them and your neighbors might object to having chickens in their yard. Chickens are able to provide many of their nutrients if they have access to fresh pasture and maybe a nice compost pile. They will turn the compost for you and clip the grass. If you can, move their enclosure each day for the best grazing. The greens they eat will create a deep gold yolk and also increase the nutritional benefits of eating them. There are tons of plans online for chicken tractors that allow you to move your flock easily. Table scraps are appreciated by your flock too. They will eat apple cores, banana peels, meat scraps, etc. What a great way to reduce your trash output and help supply nutrients to your hens! Don’t give them rotten or moldy food. I have found that whatever I throw in the compost bucket is scrutinized carefully and picked through for the tasty bits. So I don’t worry too much about the things that are supposed to be bad for the hens. They won’t eat if anyway. I just rake it into the compost occasionally and they stir it up in their search for bugs. Even if you are able to free range your chickens and feed them scraps, they will still need a balanced layer feed to keep them healthy and productive. So what needs to go in their feed if you are mixing it yourself? Most layer feed consists of a variety of grains, soybeans or other protein source, and a vitamin and mineral supplement. I’ve looked through the ingredients list of several different brands and no two are alike. Most use soybeans, corn, wheat, oats, barley, and supplements. I found this site that lists the ingredients in Joel Salatin’s Chicken Feed…which I find very interesting, except that I’m trying to avoid soy if possible. I am searching for field peas, which can be substituted for soy. Although field peas are lower in protein than soy, they don’t need to be heat treated before feeding to livestock. I haven’t found field peas yet and will substitute yellow split peas for now. Many pre-mixed feed rations actually have less than these suggested amounts, mainly because soybeans (protein source) are more expensive than grains (carbohydrates). I always thought that by feeding my chickens the ‘complete’ rations from the feed store, I was supplying everything that they really needed to thrive. I guess I was too trusting! To supply enough protein, your feed mix should be about 30% soy, or even more if you are substituting field peas. I plan to mix split peas, sunflower seeds, and alfalfa pellets together for their protein source. This will make up approximately half of their feed. The other half will be equal parts of corn, wheat, and oats. During the cold winter months, I will increase the corn to help them maintain their body heat. A supplement from Fertrell and a trace mineral supplement from Redmond’s will be added to supply the necessary vitamins and minerals. Oyster shell is always available free choice for my hens, but the Fertrell will not supply as much calcium as laying hens need, so I am searching for a source of feed quality ground limestone. If I am unable to locate a source, I will switch to oyster shell that is ground finer than the source I have now. When I have results from this experiment, I’ll share them with you. Where Am I Getting These Ingredients? 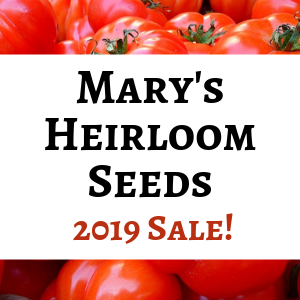 I order bulk goods for our homestead from three different buying clubs. I was pretty jazzed to find that Azure Standard carried organic poultry food, until I looked at the prices. They do have organic chick starter crumbles from Rogue Feeds. Since I haven’t found organic chick starter crumbles anywhere else, I’ll cough up the $24.95 for 40 pounds. If you can order from Azure Standard and don’t have another source for chicken feed, you may want to check out their catalog. In lieu of the layer rations from Rogue Feeds, I am purchasing the following whole grains, legumes, and supplements through the Azure Standard Catalog. They are due to arrive tomorrow. My order will also incur an 8.5% shipping fee. I expect this order to last more than a month, and some items, such as the nutri-balancer, should last up to 5 months. Considering that my flock is consuming approximately 60 pounds of feed per week, they will go through 240 pounds per month. Half of that will be protein, so I will need about 40 pounds of split peas, 40 pounds of sunflower seeds, and 40 pounds of alfalfa pellets per month. I also expect to use approximately 40 pounds each of corn, wheat, and oats per month. At these rates, I expect the cost of my custom mix to cost approximately $110 per month. My current cost for the premixed, organic feed would come to approximately $130 per month. $20 may not seem like a huge savings, but it really adds up (to a total of $240 per year, in fact!). Even so, the cost of buying bulk items is still quite high, and I hope to one day raise most of the grain and legumes myself. Will it really save money on chicken feed? Only time will tell. Do you grow your own chicken feed? Do you mix it yourself from whole grains and supplements? Or do you buy ready mix feed? I’d love to hear your recipe if you mix it yourself! Note: The prices of organic grains through Azure Standard have gone up since I posted this article. I haven’t found soybeans or peas for sale in local feed stores. I did find a grain company that would sell by the ton…which was more than I could use in a reasonable amount of time. You could also check to see if there are any small brewing companies in your area that need someone to take their spent grain. It is fairly high in protein, I have read. Best wishes in your search for peas! If you can’t find them, could you grow your own? I like your recipe for chicken feed. Do you find it cost effective? Where do you buy your ingredients? I’m a newbie with three hens and want to get my chickens off of store bought fed. I’m not sure if Rachel will get your message and I can’t answer on her behalf. I find sunflower seeds at my local feed store and I buy grains from Azure Standard, but the cost of the organic grains has gone through the roof and I just can’t afford to feed this to my chickens anymore. I think that with 3 chickens, the cost would not be so prohibitive. Check ads for local feed stores and you can also check the online catalog for Azure Standard if you would like to buy organic whole grains. I think I’d like to try soaking and sprouting grains again. I was having problems with my sprouts getting moldy, but I want to try it again. The ducks especially love the sprouts. You would not have a bird that weighs very much…it would be quite small and not much meat. I’ve raised dual purpose and layer breeds that were straight run. The roosters are enough for a small pot of soup at around 4 months old, even when fed meat producer feed. We make our own chicken feed. The chickens are kept in a compost run (full of leaves, kitchen scraps, & grass bags from neighbors lawn clippings) so they are always eating kitchen scraps and the bugs from the composting material in addition to the feed we give them. I make a mixture of 13 lbs. wheat, 8 lbs sunflower seeds, 2 lbs. barley, and 2lbs. oats to equal a 25 lb. batch. The mixture soaked for one day and sprouted for an additional day or two before being given to the chickens. I have been making this feed for over two years now and it has been the chicken’s exclusive feed. They have done very well on it. Your article was very informative and helpful. That’s awesome, Rachel! Do they get oyster shells too? How much do you feed them daily? How big is the chicken’s run? Sorry I missed your questions. The number of chickens in my flock varies, but generally I have around 20-30, plus ducks and turkeys. So the amount of feed depends on how many and I don’t measure by weight or anything. I was ordering the ingredients from Azure Standard, but the cost went up quite a bit and I found a local feed store that sells a good mixture. The pasture is about 100′ long by 40′ at the widest point. Is it necessary to soak the mix? It isn’t necessary, but I’ve been reading more about soaking and fermenting and it sounds like the feed will be digested better if it’s fermented, or at least soaked. How many chickens do you have? It must be a ton to go though that much bulk in a month. I found a wonderful organic feed from countryside organics that’s full of goodies like all organic peas corn oats flaxseed sea kelp and much much more! It also has promotion ingredients in it. They ship across the country and a 29 pound bag is about 19 dollars. . You really should check out there Web site and look at all the ingredients. I think you will be impressed. Hi Lynette…sounds like a great product 🙂 I’ll have to check it out, but right now I’m paying $22 for a 40 pound bag and no shipping. But I think that there are a lot of people who would really like that price! Thanks for sharing! I started experimenting with growing barley fodder last winter. My sheep turned their noses up at it (though oddly enough chowed down on the barley patch I planted), the pigs loved it and i made friends with the neighbors chickens with it. Infact, they weren’t getting more than 2 eggs a day out of 9 older hens then I started feeding them fodder and the number of eggs tripled. Then I stopped…and their egg productions dropped, and I started up again and egg production went up again. Then spring got good enough they were able to forage and have kept their production going. Anyway, it seemed like it worked well for their chickens. Sprouting increases the available protein I think making it a 12% feed. I’m going to experiment with it this year again on my own chickens. This is great info! Thanks for sharing. 🙂 I am getting my next co-op order ready and have barley and soft wheat for sprouting on the list. I am planning to start sprouting very soon! Thanks again! Great post! I can’t wait to hear your updates. We’ve been picking up scraps from a local smoothie bar for our hens (along with layer feed). I’ve been wanting to raise meal worms for them also. I just need to make it a priority. That’s great that you are getting scraps from a local restaurant for the hens! Around here the health department has, apparently, shut down anything like that. I’ve been trying to figure this out too. I don’t particularly want to feed them soy, but the other source of protein in many pellets (in Australia) is meat meal. And it seems that the manufacturers don’t have to list exactly what is in their products, it usually says “may contain” all sorts of grains, and then a minimum protein content. Anyway, I haven’t got there yet, but my experiments have so far included gorwing compost worms and mealworms. And when I have more garden space and enough water, I’m thinking of growing more for the chickens, not grains that need harvesting, but things that they like, including comfrey and arrowroot, and moving the chicken tractors over it (so I don’t have to harvest it and they can do the fertilising while they’re there). Its a complicated plan and I haven’t go there yet, but the more I think about the more I don’t want to be relying on bought chicken food! Thanks for sharing your solutions and plans with us! Great post! We just started raising chickens, as in we just got them a couple of days ago 🙂 This was so informative. We have the land to grow most, if not all. I am already planning the “chicken” garden in my head. Thank you! Now I have the phrase “The chicken garden in my head”…in my head, lol! Glad it was helpful to you! Hey Lisa, I love the idea of making your own feed mix from bulk grains. I did know one person who was buying organic feed through the local feed store by the one-ton bag. It is a lot of chicken food, but she split the order with a neighbor and got a really good price (plus a really cool gigantic bag). It’s worth looking into anyways. We don’t have chickens, (yet) but I have friends who do. Both of them have enough acres to grow their own crops, I’m going to pass this on to them. We’re also ordering from Azure, and one of them bought the chicken feed. I do benefit from the chickens, she sells me eggs. It’s amazing how spoiled I have become, I think I’m turning into a food snob, lol. Pinning to my chicken board for the future. I hope this gives them some ideas for where to at least get started. Azure is a great company…I’m so thrilled to be able to order from them 🙂 Hey, food snob is not a naughty term!!! Thanks so much for pinning! Have a great day! Thank you so much for posting this. I have read your other posts and have been wondering about what to grow to either fully sustain or supplement our chicken feed needs (organic food is expensive). It can certainly be confusing, with all the information (and misinformation) being shared online. I think that if you can supply enough protein, calcium, and methionone…the rest seems to fall into place. Best wishes and thanks for reading! I buy organic feed from our local Farm and Home. It’s pricey. I think it runs around $36 per 50 # bag. We just recently found an advertisement at the local corner market for some other stuff. We plan to look into that. It runs about $22 for a huge drum of wet feed. I think my only concern would be mold.